Or Get an Estimate Below! with two convenient retail outlets. 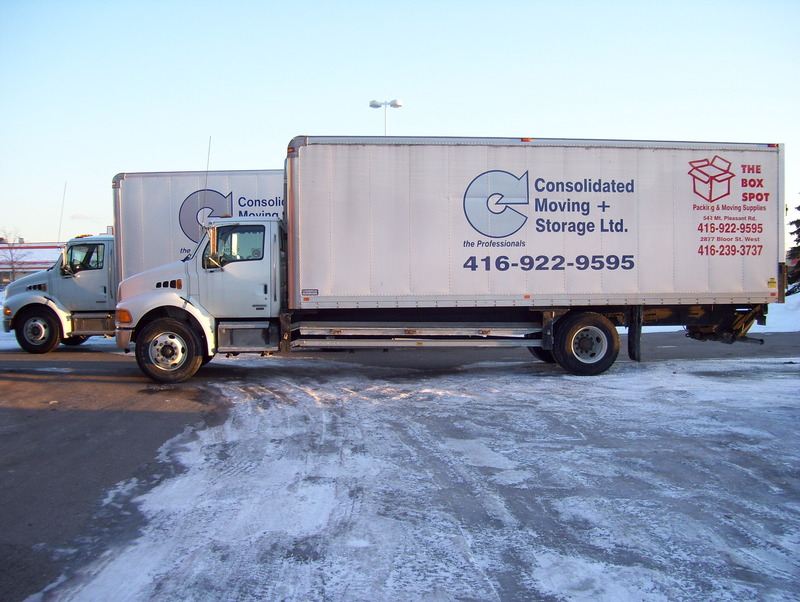 At Consolidated Moving & Storage, we are well known for our professional residential moving services. Consolidated Moving & Storage has been earning the trust and confidence of corporate relocation clients for over 34 years. We understand that every institutional client has their own unique moving requirements. We are proud of our professional customer service, which is tailored to be flexible to your specific needs.
" I am from Vancouver and was in Toronto in January looking after the estate of my recently deceased mother. On the 25th I attended your store on Mount Pleasant to purchase boxes and packing materials. The staff were pleasant, knowledgably and extremely helpful. Even to the extent of helping me to the car with my purchases. This was obviously not an isolated incident as I had to return a few days later to return some product that I did not need and to purchase a couple of more boxes. A different staff member looked after me and again assisted me to my car with my purchases. Your staff were wonderful and will extol their virtues whenever possible as well as encouraging anyone that needs moving or packaging materials to shop et your premises.